Hawthorneite: Mineral information, data and localities. Named by I.E. Grey, I.C. Madsen, and S.E. 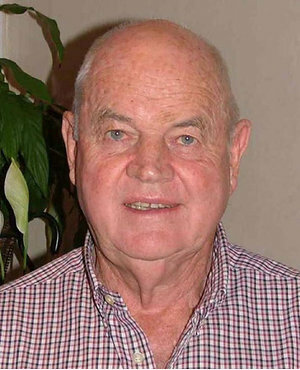 Haggerty in 1987 in honor of John Barry Hawthorne (1934–2018), former Chief Geologist (Diamonds), DeBeers Consolidated Mines, South Africa, in honor of his contributions to studies of the upper mantle. Unique combination of elements, although somewhat chemically similar to mathiasite and haggertyite. light gray in reflected light. The Natural History Museum, London, England, 1988,71. Formed during upper-mantle (75–100 km, 900–1100 ◦C, 20–30 kbar) metasomatism of chromian spinel in peridotite xenoliths in a kimberlite pipe. Grey, I.E., Madsen, I.C., Haggerty, S.E. (1987) Structure of a new upper-mantle, magnetoplumbite-type phase, Ba[Ti3Cr4Fe4Mg]O19. American Mineralogist: 72: 633-636. Haggerty, S.E., Grey, I.E., Madsen, I.C., Criddle, A.J., Stanley, C.J., Erlank, A.J. (1989) Hawthorneite, Ba[Ti3Cr4Fe4Mg]O19: a new metasomatic magnetoplumbite-type mineral from the upper mantle. American Mineralogist: 74: 668-675. Daltry, V.D.C. (1997) Mineralogy of South Africa: Type-Mineral Species and Type-Mineral Names, Council For Geoscience, Geological Survey of South Africa, Handbook 15. Anthony, J.W., Bideaux, R.A., Bladh, K.W. and Nichols, M.C., Eds. (2016) Handbook of Mineralogy, Mineralogical Society of America, Chantilly, VA 20151-1110, USA.